117 kcal. Source of protein. High in fibre. No artificial colours, flavours or preservatives. 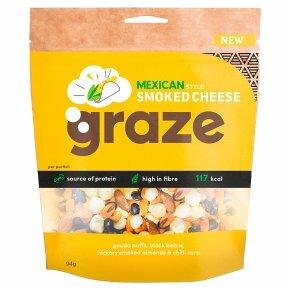 Suitable for vegetarians.We've rejigged all the flavour of a smoky Mexican taco into a crunchy savoury snack. Beans and corn have never been this tasty.